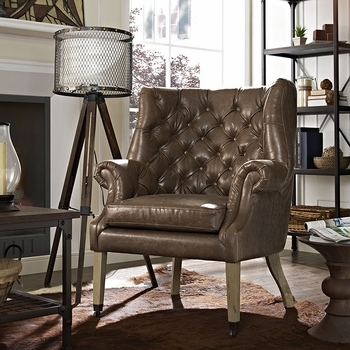 Experience the fine art of leisure with the Chart Lounge Chair. 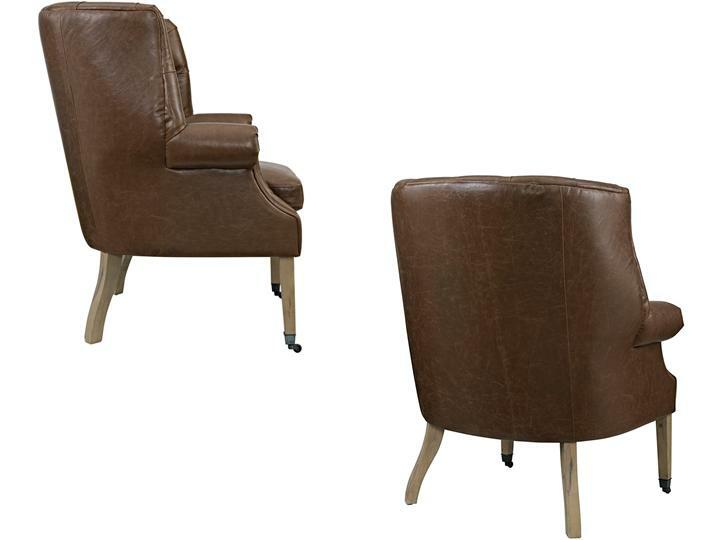 Luxuriously tufted with rolled arms and supportive back, Chart also comes outfitted with front leg casters for easy maneuverability. Always ready for action, Chart is a beautiful accent piece upholstered in antique grained vinyl, dense foam padding, natural wood legs, and an esteemable appeal for vintage, rustic, cabin, contemporary, global, and other eclectic spaces.